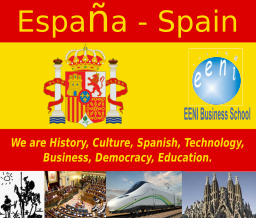 EENI Business School & HA University have always thought that the positive side of Globalisation allows people from different cultures all over the World to approach and foster International Business. The Internet has become the key that allows knowledge and experience to combine and be shared worldwide. However, we are also aware of terrible effects that globalisation has generated: increasing world poverty, pointless wars, loss of cultural identity, environmental attacks, or financial speculation. For this reason, we are working on the Ahimsa Project: Religions, Global Ethics, and International Business. EENI Business School & HA University has been a pathfinder in business education as well as a promoter for Distance Learning; we believe in a open and democratic globalisation. Therefore, one of our values is complete respect for other cultures. This is the reason why we have dedicated many resources to offer EENI Scholarships and help needy people. We have already offered aid programs in several African, the Asian and Latin-American countries (Argentina, Bolivia, Nicaragua, Colombia). Our will is to guide students to the right choice in business taking the role of a leader whose aims are agents of change, EENI's programmers are designed to help students fulfil their Leadership potential and through them inspire their organisations to excel during challenging times. 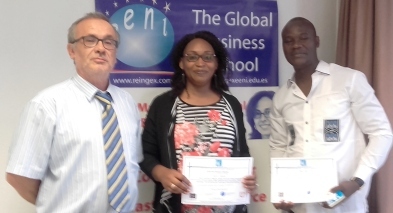 If you have a strong desire of competing for a better future in business or Doing Business, need to learn strategical theories for real business situations, I encourage you to join EENI's master/Doctoral programs. We do not promise you the future, but we promise to get there with you.